Winter activities are in full swing, and with a flurry of activity, comes the need for a few reminders. When it comes to transportation, we have rules that must be followed, for your own student’s protection and safety. School-sponsored field trips, off-campus practices, competitions, etc, require carpool transportation from the school to the event, by approved drivers. If you would like your child to leave a school-sponsored event, with another parent who is an approved driver, you must submit a written note of permission. We appreciate you communicating these rules to your students. Please email me at asteinman@pvs.org with any questions. This week is National School Choice Week (January 20-26)! We're joining over 20,000 different types of schools across the nation in the largest annual celebration of opportunity in education. To show School Choice Spirit, students can choose to wear yellow tops and/or accessories (scarves, socks, hats) with their uniform bottoms on Friday, January 25th. The Upper School ASB has a fun Spirit Assembly planned for our students starting at 2 pm. This coming Friday, January 25th, come and see 22 Shakespeare Characters “Do Their Thing” on stage in the MPR at 7 pm. Expect an incredible show of talent from our own Palm Valley School actors. Norman’s Uniforms will be on campus TODAY from 2:30 pm - 5:00 pm in the Upper School lobby. All sizes and styles will be available for purchase. 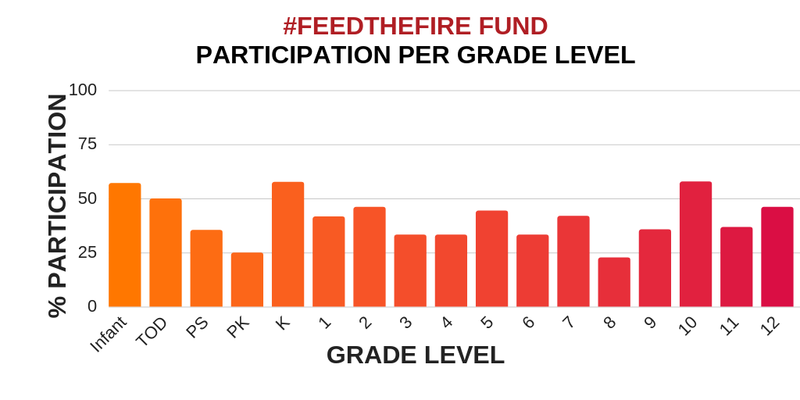 #FeedtheFire Classroom Competition - TWO WEEKS LEFT! Each class that reaches 100% participation in our 2019 Annual Fund will be invited to a Family Ice Cream Social on Friday, February 1st! You can give in person by visiting the Business Office or online at www.pvs.org/support-pvs/annual-fund. Our infant class, Kindergarten and 10th graders are tied in the lead with 57%!